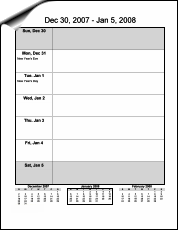 All the standard formats with miniature months to help with your planning. 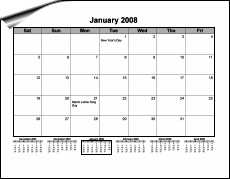 A standard monthly calendar with six miniature months of context. 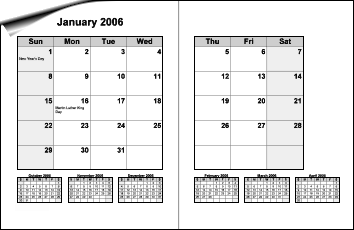 A monthly calendar spread out across two pages with the previous and next three months along the bottom. A standard weekly calendar with three mini months of context.